Characteristics: A deep-green leaf with lighter veins and 5 separated rippled or sawtooth-like points. Growth & Spread: It is medium to fast rate grower. It has been known to reach over 5 m in height and spread. Flourishing Season: It grows during the typical warmer months. Water & Maintenance: Hardy plant that will only need watering until established or during extremely dry periods. Low maintenance, only pruning to maintain desired shape. In addition to using for wall and fence growth, the “Green Ripple” can also be used for excellent ground cover. It is an evergreen perennial, having lovely and intricately patterned leaves. In winter, these leaves will slightly change to have a more purplish hue, providing interest and colour year-round. Standing out amongst the ivy varietals, the “Green Ripple” has an alluring leaf pattern that contrasts jagged edges with seemingly pulsing, light-green veins that run throughout its leaves, along with a deep red-green stem system. 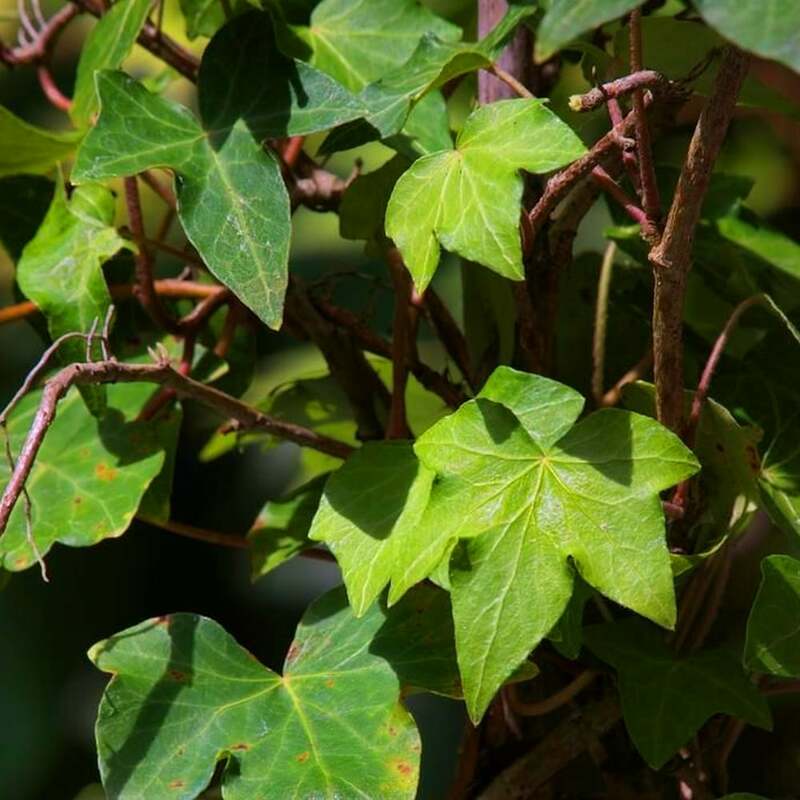 This ivy is of a climbing habit, so that while it may need trellising to initially begin its ascent, the plant is a self-sufficient climber and will journey skyward until pruned or it runs out of support. Planted in more alkaline soils, the plants will thrive in sun and shade. They work well in the traditional ivy use on wall and fence areas, but are also good for courtyards and city gardens. The use of this plant as ground cover in sloped areas or in informal cottage gardens is also very practical, as they need very little maintenance after they are established.